Back in December, I attended an event at my local Body Shop where I ended up getting a really scrumptious facial. 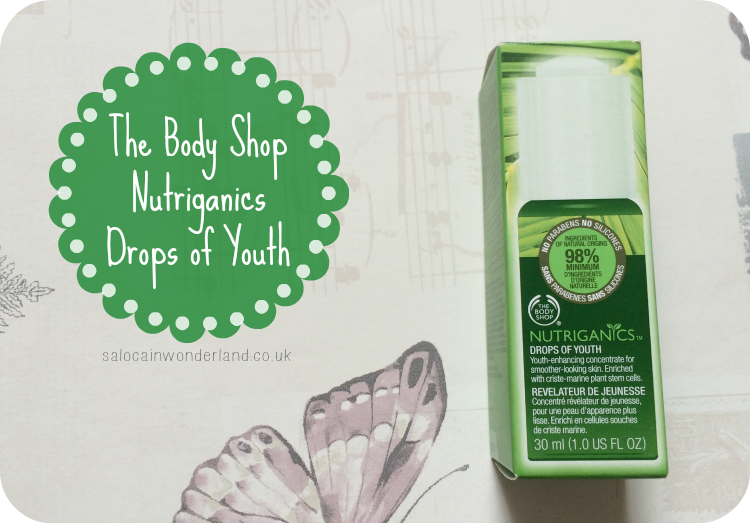 One of the products used was the Drops of Youth Nurtiganics Concentrated serum (£24). After chatting with the lovely assistant, I was really intrigued by the idea of the serum. I hadn’t really experimented with serums much and with a more than generous discount on offer on the night, I decided to treat myself and see what this serum business was all about. 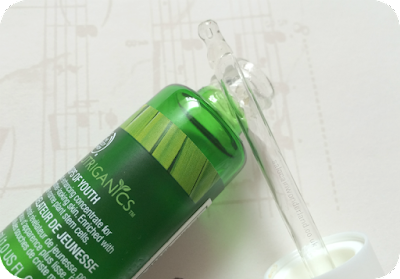 Branded as a youth enhancing serum, it’s aiming to give the appearance of smoother looking skin, enhancing skins overall condition and moisturising. Made with a minimum of 98% certified natural, organic, ingredients, it’s jam packed with goodness. What first struck me was the applicator itself. The bottle it no normal serum bottle, but comes with a dropper applicator. The green-glass bottle looks very high-end on my drsser, but when it comes to using it, not so great. Either my dropper was broken, or just badly designed but I could never get it to actually pick up much product in the first place, so I resorted to using it as a stick and pasted some of the serum on my hand. Also, the word drops is kind of far-fetched. The product itself is a really thick, clear gel, so getting the prescribed 2 - 3 drops is kind of impossible. It also smells really medicinal, which doesn’t both me too much, but I know a lot of people don’t like their skincare smelling like something from over the NHS counter. Following instructions, I applied around a pea and half sized amount morning and night after cleansing my face, smoothing it out then patting it in. My skin felt really tacky for a few minutes afterwards so I had to wait before applying my moisturiser and getting ready. My skin instantly felt tighter, and was smooth to the touch. After a couple of days I found it was a little too much to use it twice a day, so I took to using it as a night treatment, which worked better for me. My skin was starting to feel dry and irritated when using it twice a day, but once seemed enough to keep the issues at bay. 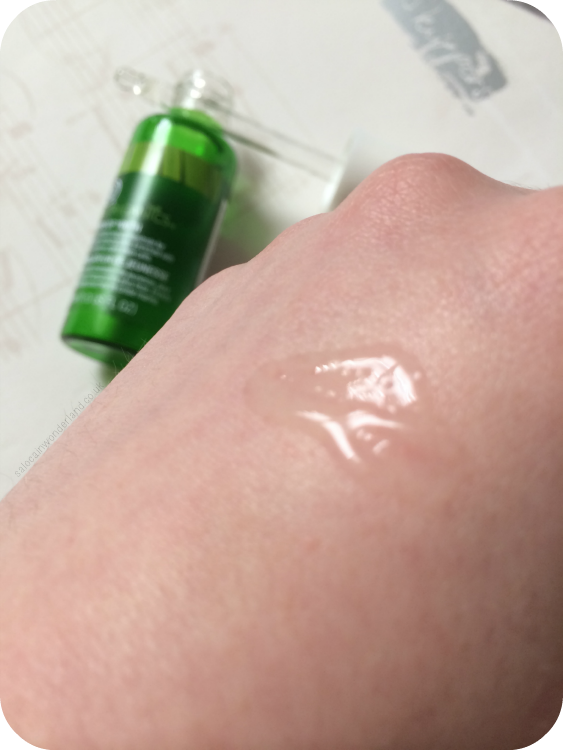 Having oily/combination skin I was weary of applying such a thick gel to my skin, and the tackiness was really off putting but I actually found it mattefied my skin and reduced oil production, especially on my forehead. I can honestly say I did notice a difference, but, it took a while. Around 6 weeks of nightly application and my skin was starting to look fresher, more awake and vibrant. 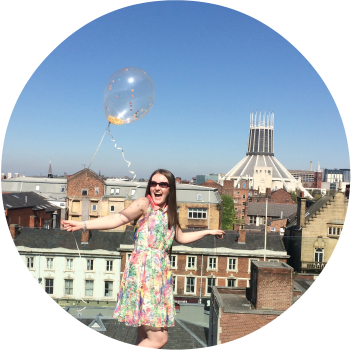 I stopped using it for a long weekend, as an experiment, and within 2 days my skin had started to look a little duller. 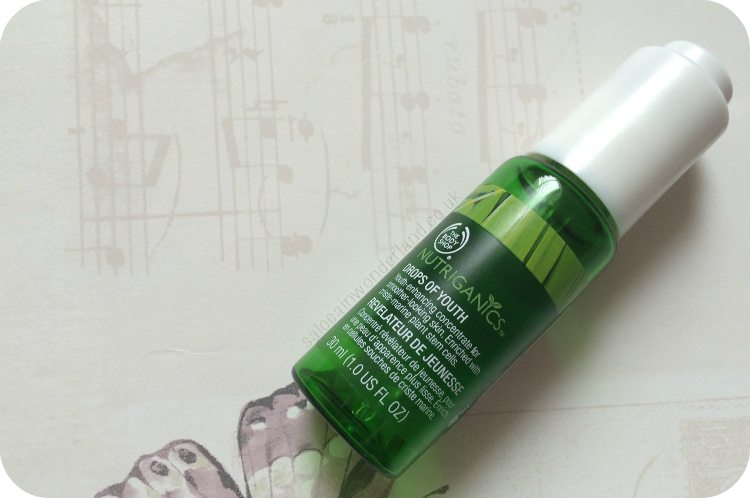 At £24, it’s probably the single most expensive product I’ve used from the Body Shop, but is it worth it? Yes and no. My skin looked great, there’s no doubting that, but when the serum ran out was right around the time I started to make green juice smoothies and my skin has undoubtedly, never looked better. Would I use it again? Yes. As great as my skin has been with the smoothies and other healthy lifestyle changes I’ve made recently, I still think a little external help can go a long way too and Drops of Youth really did give my skin a jump start. Have you tried Drops of Youth or anything else from the Nutriganics range? Let me know in the comments below! Fab detailed review. I need a good serum! It's well worth a try! Glad you enjoyed the review! I'd love to try this. I have the drops of youth night bounce cream and really love it. It doesn't smell medicidieisniensgesnneiney though which is strange as I would have expected the range to smell the same. Maybe it's just my nose? But it real does have that antiseptic aroma to it. Could be because it's a concentrated serum so it could make it more pungent than the cream? Now I want to go in-store and smell a few to find out!